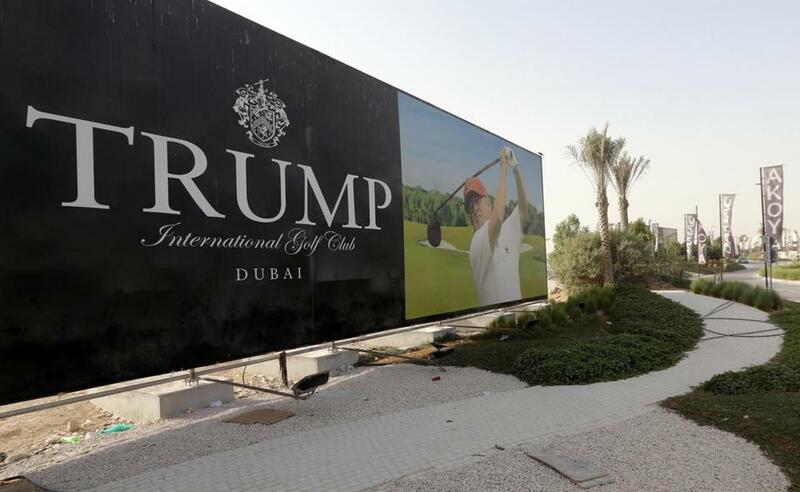 President-elect Donald Trump was seen playing golf on a billboard at the Trump International Golf Club Dubai, in the United Arab Emirates, in August 2015. Inaugural Day looms and Donald Trump is still unwilling to put America’s business ahead of family business. The president-elect refuses to sell off his holdings and put them in a blind trust. He’s also backing away from an earlier Twitter promise of “no new deals” anywhere, by tamping that promise down to no new deals in foreign countries. To quiet concerns about potential conflicts of interest between his presidency and his business empire, the president-elect said he will put the Trump Organization in a trust controlled by his two adult sons. It’s not enough. But after a lifetime in the private sector, and the entitlement that goes with it, Trump has yet to signal that he cares deeply about accountability to the voters who elected him. It’s almost as if Trump views the White House as just another asset in his real estate portfolio. But the price of winning it should be total commitment to country, unencumbered by calculations of profits or loss to any outside interests. Apart from ethical considerations, he also seems to think of the presidency as a part-time job. This is hubris, given the world-altering decisions that inevitably land in the Oval Office, and he may yet change his tune. But as he put it during last Wednesday’s press conference, “I could actually run my business and run government at the same time. I don’t like the way that looks, but I would be able to do that if I wanted to.” That press conference also featured stacks of manila folders, filled, he said, with “documents I’ve signed turning over complete and total control to my sons.” However, reporters weren’t allowed to look inside the folders to see what was really there. As always, props and soundbites, not principle, drove the day. During the presidential campaign, Trump charged that Clinton Foundation donors were trying to curry favor with Hillary Clinton while she was secretary of state. If that made Clinton “crooked,” the same standard should apply to Trump. But turning the family business over to Eric and Donald Trump Jr. means people who do business with them can also curry favor with President Trump. But Trump decides which rules apply to Trump. It’s unacceptable that he still refuses to release his tax forms, so there’s no way to verify his current holdings and their value. He also insists his plan to turn the Trump Organization over to his sons goes beyond what current law requires him to do. That’s good reason to change the law. The Presidential Conflicts of Interest Act of 2017 — introduced by Senator Elizabeth Warren of Massachusetts and backed by other Democrats — would do just that, by requiring any incoming president and vice president to disclose and divest any potential financial conflicts of interest. That would force Trump to do what he’s unwilling to do voluntarily — make America’s business his only priority.